Ahlen, October 2016. – An experience that many of us have shared: good friends or relatives announce a visit at short notice and, of course, we offer them our spare bedroom. Beds are quickly put up, tables and chairs arranged for a cosy dinner together. Everything has been done to create a good impression – but what about the guest bathroom? Does it do your home proud too? After all, this is the room with which visitors will be getting the most intimate, and it should dazzle them with its cleanliness and comfort – all the more so because the guest bathroom is used by lots of different people. Reason enough to choose a low-maintenance, robust fit-out that looks fabulous too. These days even small changes are enough to modernise an existing space and boost its value. For instance, it’s really easy to swap an antiquated ceramic washbasin for a modern and attractive model made of Kaldewei steel enamel. The unique material quality and timeless design of Kaldewei washbasins makes them highly persuasive, and they can be installed anywhere in a guest bathroom. Cleaning and maintenance of Kaldewei washbasins is child’s play because they feature an easy-clean finish as standard. Just a quick wipe with a soft, damp cloth and the washbasin sparkles like new again. So cleaning the guest bathroom takes hardly any time at all, and can be done in between times if needed. By applying the new washbasin standard from Kaldewei, any home owner can place an effective highlight feature in the guest bathroom, and create a space in which guests feel at home. Thanks to the unique material properties of steel enamel, Kaldewei washbasins are robust and long-lasting. This means that the cracks or discolouration that are common with ceramic washbasins are now a thing of the past. So what more reason do you need? It’s high time to swap those unattractive or outdated washbasins for modern steel enamel washbasins, and instantly give your guest bathroom a quick and lasting makeover. And by upgrading your guest bathroom, you’ll also be showing how much you appreciate your guests. 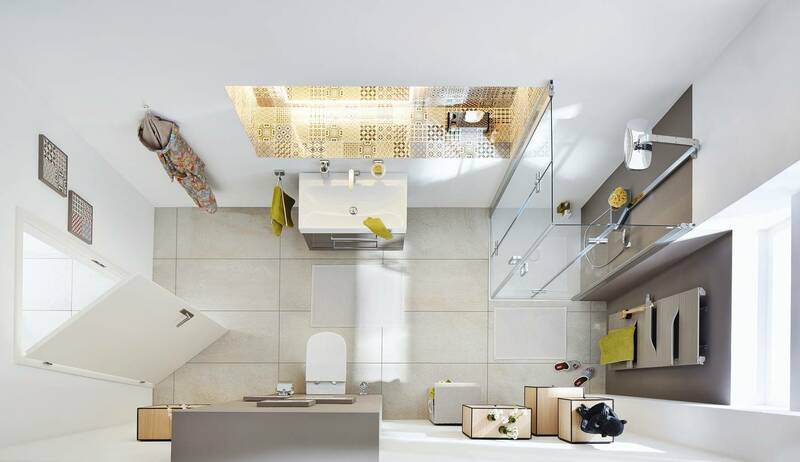 Products: Silenio washbasin, Scona shower surface. 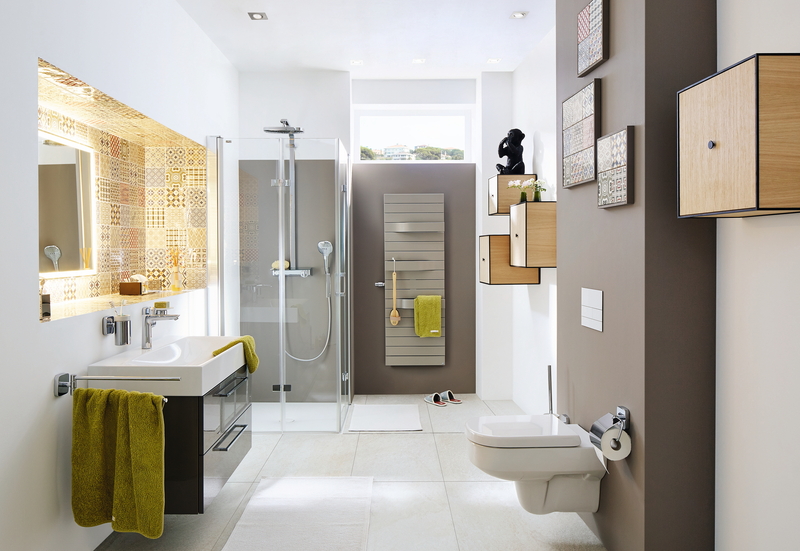 These days even small changes are enough to modernise an existing space and boost its value. For instance, it’s really easy to swap an antiquated ceramic washbasin for a modern and attractive model made of Kaldewei steel enamel. Fitted with an easy-clean finish as standard, the ease and speed with which Kaldewei washbasins can be cleaned is also compelling: their surface can be cleaned in a flash and the washbasin sparkles just like new again. 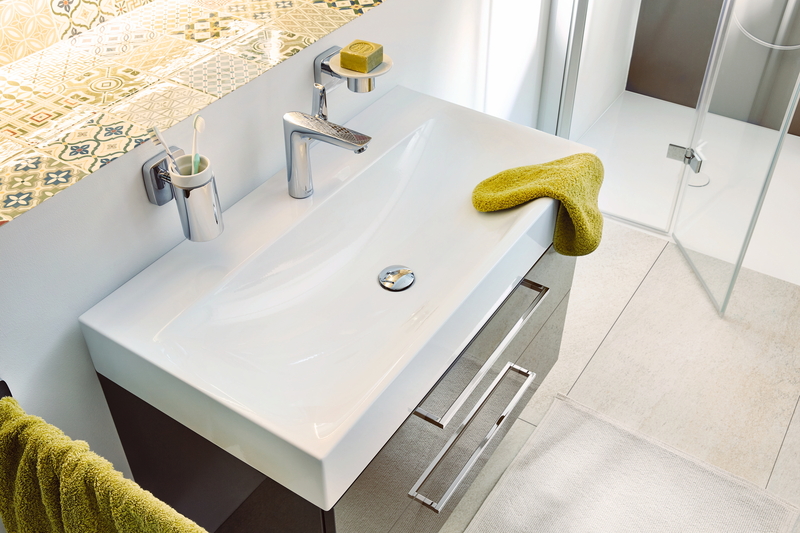 Thanks to the unique properties of Kaldewei steel enamel, the washbasins are exceptionally robust and long-lasting. To go with them, there are also shower surfaces made of Kaldewei steel enamel.